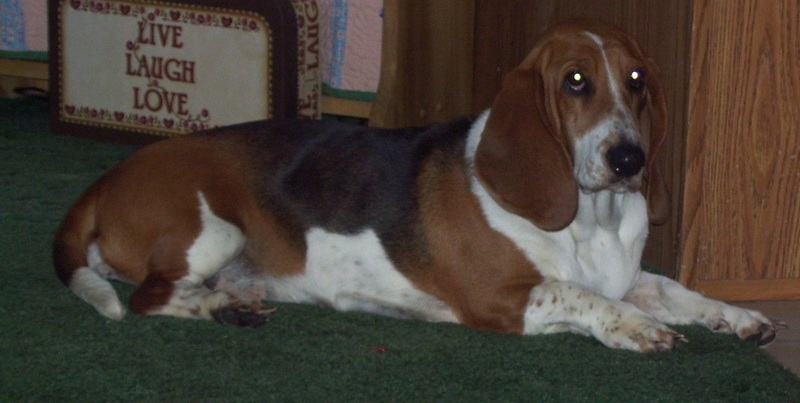 Chloe Girl was born July of 2007 here in West Virginia and was one of the most beautiful girls in her litter. 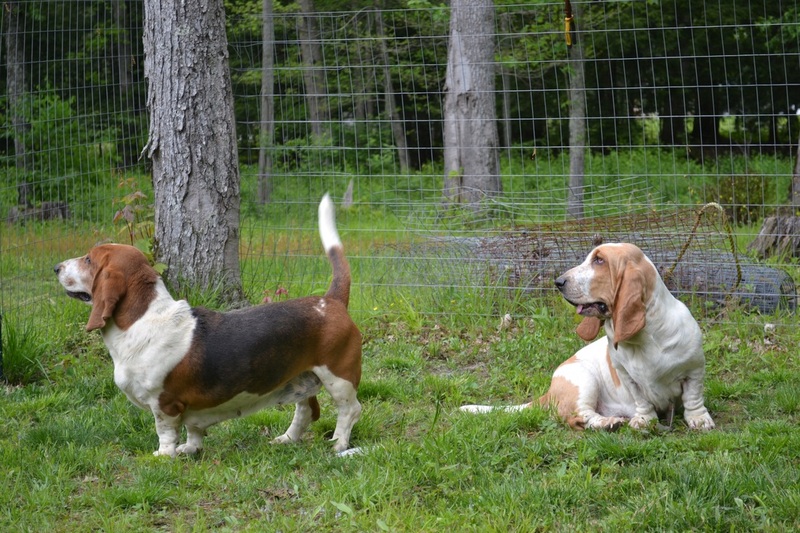 She is your typical american basset with smaller feet and slimmer build. Chloe is a smart girl, learning how to shake hands in no time. 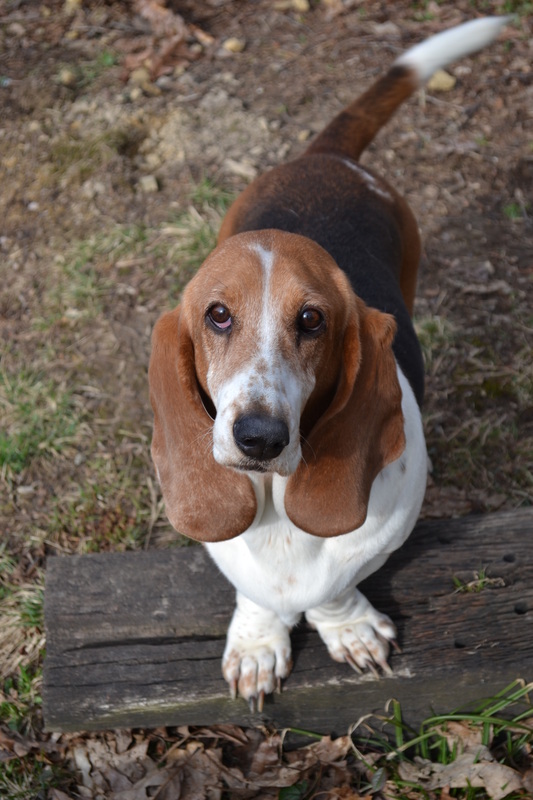 She is loving (when she wants to be), stubborn, watchful, and such a cutie!!! She has been a wonderful addition to our family. She has birthed 3 litters of puppies one having 9 pups and the other 13 and the last litter having 11!! She has a personality all her own and that is why we love her!!! :) She is now retired and is enjoying it! !